The Men Of Mulhany Crossing series. It’s the story of four men from a small outback town who have been lifelong friends and the women who love them. 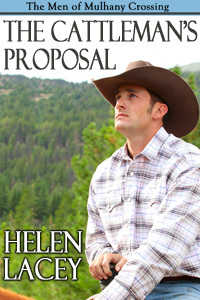 The Cattleman’s Proposal is Nate’s story and I simply loved writing this guy. He’s tough and just a little bit arrogant and he certainly meets his match in the spirited heroine. 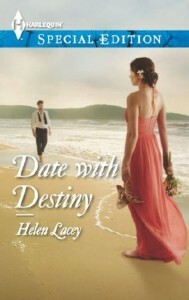 I just wanted to share the cover for my August release Date With Destiny. This book is available for pre-order now. 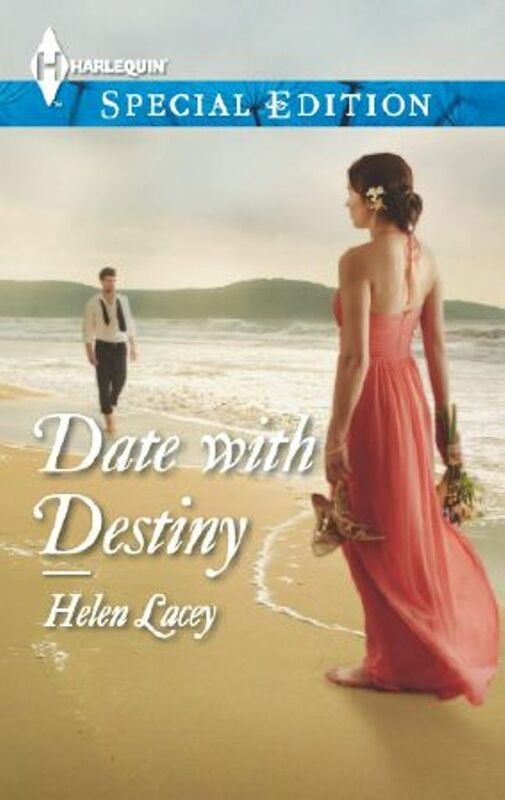 Date With Destiny received a fabulous 4 1/2 star review from RT Book Reviews ……..
I’m doing a blog tour to celebrate the release which starts on 24th July…. will post dates and places next week! 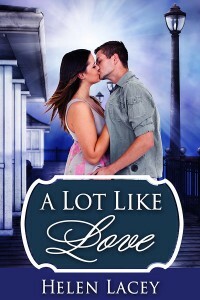 I just love the new look covers and this one really sets the scene for Grace and Cameron’s story. I’ve had many readers asking me when the ultra cool and closed-off Grace will meet her match and am so happy that she finally gets her happy ending. And I’m doing a blog tour to celebrate the release of Date with Destiny in August with books and other give-aways so I hope you can join me! 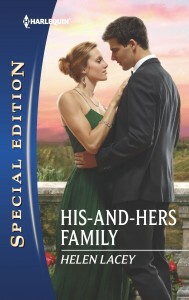 My third Harlequin Special Edition, His-And-Hers Family is released today! I’ve had so many reader emails asking me about Fiona Walsh, the good natured and bubbly schoolteacher who played a part in my first two books which were also set in the small town of Crystal Point. I’m delighted that she finds her own happy ever after in His-And-Hers Family. It’s available here from Harlequin …..
Or here from Amazon ….. I hope you enjoy Fiona and Wyatt’s story and I look forward to inviting you back to Crystal Point very soon. I just love the Australian/NZ cover for Marriage Under The Mistletoe, which hits downunder shelves this month! It’s so exciting having a Christmas release. I hope everyone enjoys this story, which I’m delighted to say it’s now a Romantic Times nominee for best Special Edition of 2012. I’m up againt some stiff competition in this category, but it’s simply awesome being nominated. I also have a release date for book 4 – August 2013! I’ll be posting more about that book in the new year. Wishing everyone a wonderful and safe Christmas! Today is the official release day for my second Harlequin Special Edition – Marriage Under The Mistletoe. I am delighted to once again take readers back to the small seaside town of Crystal Point – this time to meet Evie Dunn and Scott Jones. I hope you will share their journey as they fall in love. Here’s the link to buy Marriage Under The Mistletoe from Harlequin & Amazon. Looking forward to catching up around the blogosphere! Another Crystal Point book on it’s way . . .
I’m excited to say that a few weeks ago I sold Book 4 in my Crystal Point series. Out of all the letters and emails I recieved from readers about book 1, Made For Marriage, one of the most often asked questions was – what happens to the girl in the red dress? That girl was Grace Preston – the uber smart and all-business New Yorker who never lets anyone get close. When I first conceived the idea for my Crystal Point series and the characters started to come alive, I always sensed that Grace would be a stand-out character – mostly because she is so seriously flawed. 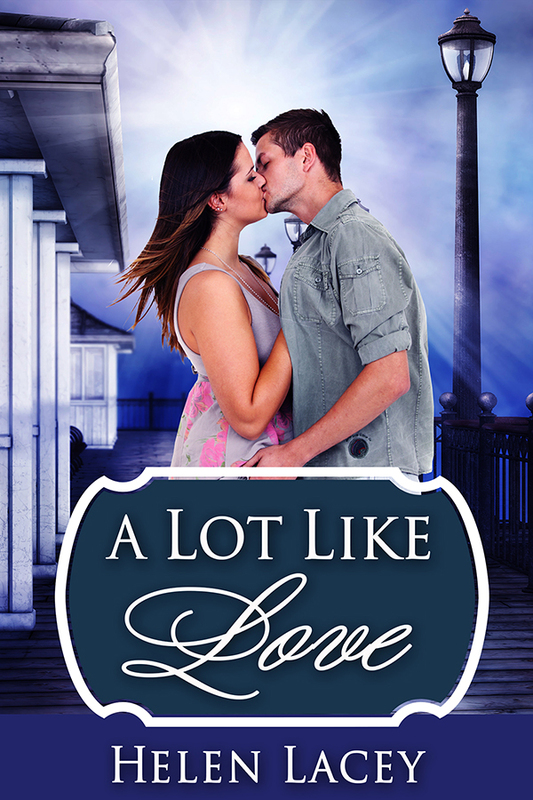 I also knew that Grace would need a special man who could see past her prickles and frosty reserve and to the woman beneath – and right from the very beginning I knew that man would be Cameron Jakowski. The small town cop is a family friend and the one person who has always been able to get under Grace’s super-cool skin. The book will be released in mid 2013 and hopefully will be followed by a few more in the series. and for those readers who asked when is the free-spirited Mary-Jayne Preston going to meet her mach? Well, I’m working on it and will keep you posted. I have a fabulous new cover for my November release Marriage Under The Mistletoe. The art department at Harlequin have once again made my day. They have really captured the feel of the book and the characters and I just love the Christmas elements in the picture. It is everything I imagined it would be. Don’t forget you can pre-order it from Amazon …..
And my January 2013 release, His-And-Hers Family is available for pre-order from Amazon too! On The Shelf . . .
A couple of days ago I had one of those unforgettable experiences – I got to see my book on the shelves for the first time. Made For Marriage is a June Harlequin Blush release in Australia, after hitting the shelves in the US in January and the UK in March. It was quite a wait since its initial release and when I was out shopping with my sister on Saturday morning we headed for one of the big local chain stores and spotted it. We squeed, hugged and then took a photograph. Actually, seeing the book on the shelf was all kinds of awesome and I’m so glad my sister was with me to share the moment because she was always one of my strongest supporters during those years when I was writing and submitting and trying to get published. Of course I’m hoping to have many more books on the shelves . . . but like most ‘firsts’ in life, this one feels extra special.